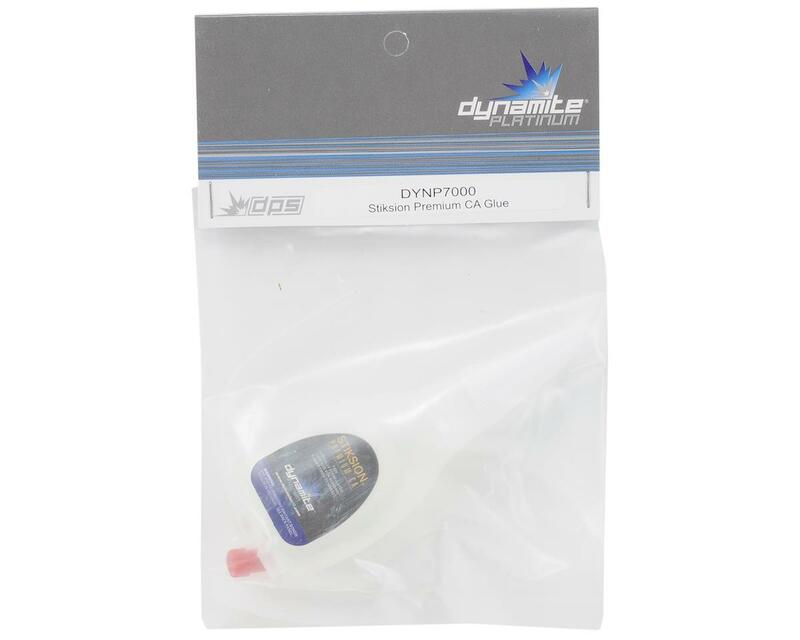 This is a .7oz bottle of Dynamite Stiksion Premium, Thin CA glue. The glue seems to hold the tires on just fine, but the glue itself was not "thin". It came out very thick, almost to the point of being stringy like hot glue. It worked, but its not water thin like the others. I like it watery so it works around the bead by itself. 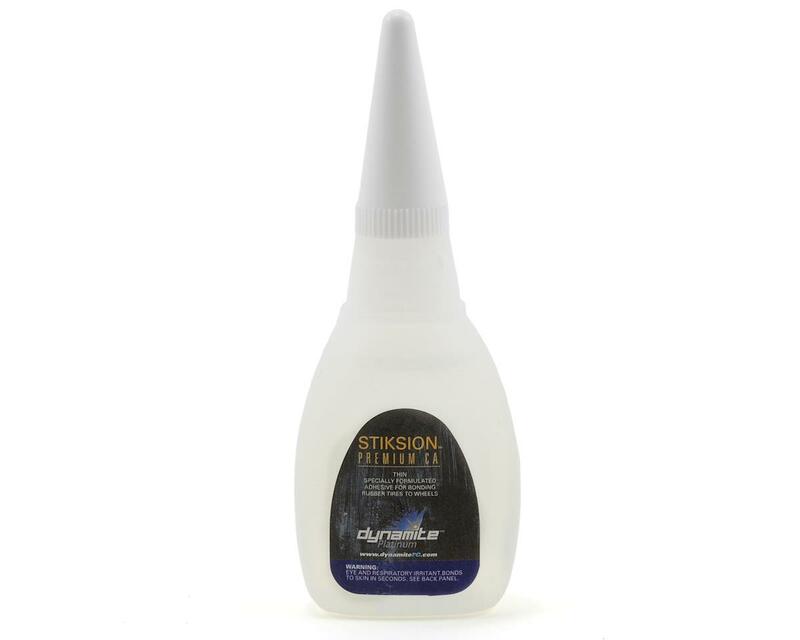 Very good glue, if you have had mixed results with other glues you might want o give this a try, just work slowly with it and NEVER SQUEEZE THE BOTTLE, just let the glue drain out onto your bead. I have been having great luck with 1/10th tires so far, once I glue a set of 1/8th tires I will write another revue. For replacement tips I use Bob Smith BSI301 tips, which are available here on amain.